What's Wrong With North Carolina Freshman Nassir Little? What's Wrong With North Carolina's Nassir Little? Twelfth-ranked North Carolina pulled off an impressive and highly entertaining 90-82 road win against 15th-ranked rivals NC State on Tuesday night. The breakneck UNC squad is off to a 2-0 start in the ACC, and looks like a team that could be both fun and dangerous in March. With the exception of their home win against Gonzaga last month, the Heels’ victory over the Wolfpack is their most impressive triumph thus far. 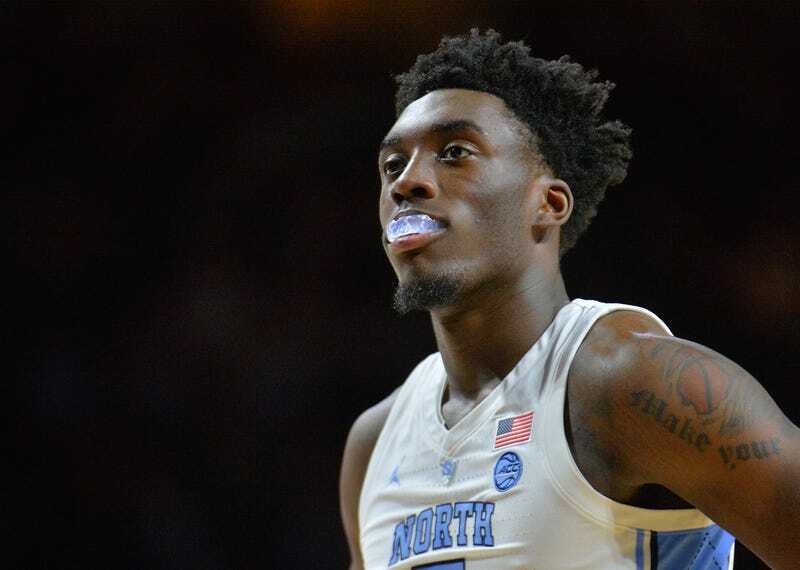 However, one player who’s been unexpectedly absent from most of that success this year is Nassir Little, UNC’s most-heralded freshman and one of the top recruits in college basketball. A five-star out of Orlando and last year’s McDonald’s All-American Game MVP, Little arrived in Chapel Hill with a reputation as an electrifying wingman and versatile scorer—as close to a sure thing as exists in recruiting, and a near certain one-and-done. Not only was Little projected as a lottery pick in the 2019 NBA Draft, but 24/7 and Rivals both had him ranked higher than guys like Bol Bol and Zion Williamson. ESPN’s evaluation of him as the sixth-best incoming freshman was on the conservative end of expectations. And yet, in comparison to such ultra-vaunted peers as Zion and R.J. Barrett at Duke or even his UNC teammate Coby White, Little has been underwhelming. He has yet to crack UNC’s starting lineup, plays 19.3 minutes per game and and is averaging a deeply ho-hum 9.9 points per game. On the perimeter, he’s struggled to find a rhythm, going just 6-for-28 from deep. And on defense, despite a 7-1 wingspan and some obvious gifts as a one-on-one stopper, Little has been a massive liability in UNC’s system. Those disappointing stat lines aren’t deceiving. In most of UNC’s big games, Little has been practically invisible. At Michigan, he scored four points on five shots. Against Gonzaga, it was seven points on seven shots. Against Texas, when he put up 11 points in 21 minutes, Little’s 1-of-5 night from three made a clear difference in what wound up being a 92-89 loss. As noted, Little is still just 18. He has plenty of talent, and plenty of time to improve. The name Marvin Williams has been tossed around a lot as a comparison to Little in the past couple of weeks, and that’s not an insult—Williams was also a highly touted recruit who didn’t start as a freshman, but he played a key role for one season as a bench player on a great team before being drafted with the second overall pick. 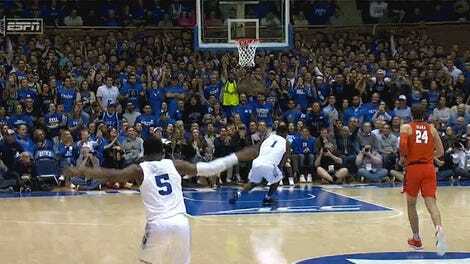 Still, it’s impossible to compare Little to the even-younger Zion Williamson or R.J. Barrett and not come up disappointed. Given his failure to produce anything notable on the court, the possibility of Little returning for his sophomore season at UNC may be in play. Financially, at least, that would probably be an unwise decision—his massive potential will still make him a first-round pick, and that will make him very rich. Against the Wolfpack and in general, North Carolina has shown that they don’t necessarily need Little in order to handle tough games in the ACC. But in what still seems likely to be the final three months of his college career, Little may be in the uncomfortable position of needing his team to give him opportunity more than his team needs him to contribute.